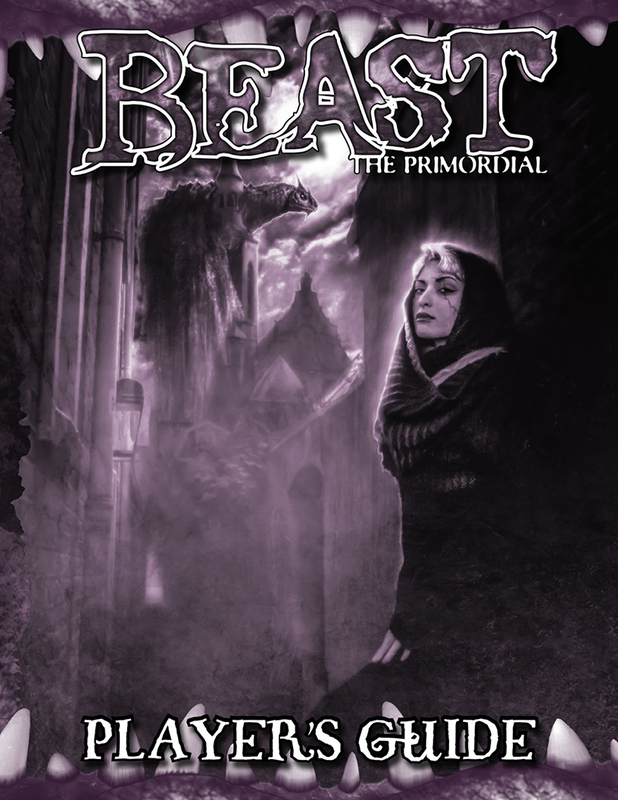 Now Available: Beast Players Guide and Night Horrors: Enemy Action! 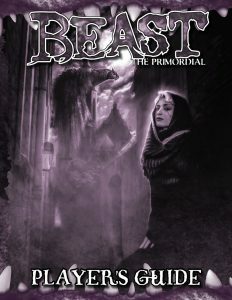 Now available in advance PDF from DriveThruRPG: Beast Player’s Guide for Beast: The Primordial! You know what’s out there? No, you don’t. Stop trying to list them off. Yeah, yeah, you’ve met the vampires and the werewolves and the ghosts and so forth, but you haven’t seen a hundredth of what’s really there. Look, I’m not shaming you. I’m trying to make a point. You don’t know. You never will. There’s no complete picture, no magic moment where you see the whole truth and get to yell “ah-ha!” You don’t know. I don’t know. We never will. That’s really a good thing, my sister, because it means there’s so much yet to see. 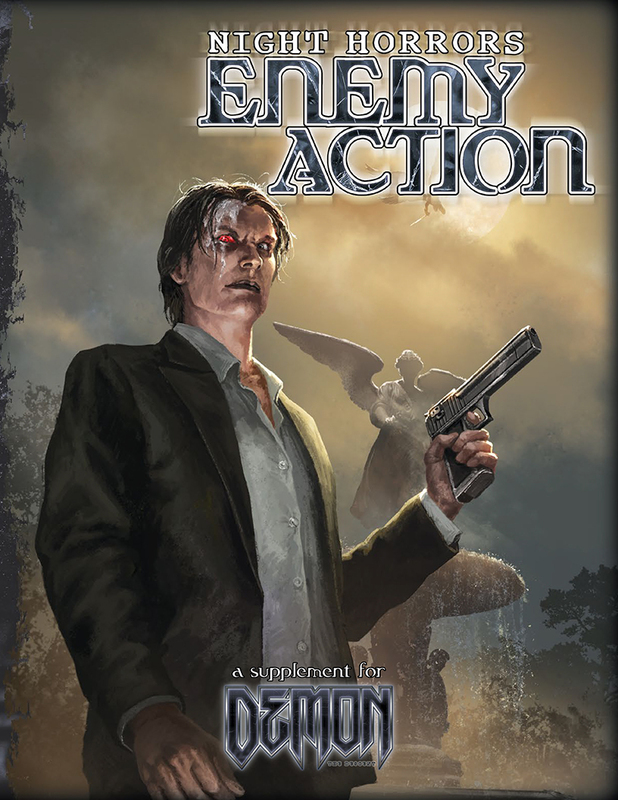 Also available in advance PDF: Night Horrors: Enemy Action for Demon: The Descent! The Trinity Continuum: Æon Kickstarter ended last Thursday! Thanks to everyone who helped contribute. 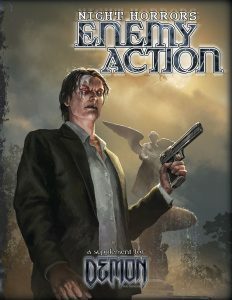 The 1E Bundle has added Hidden Agendas, Luna Rising: Psi Order ISRA & Luna Sourcebook, America Offline: Psi Order Orgotek & FSA Sourcebook, Terra Verde: Psi Order Norça & Sudamérica Sourcebook, Shattered Europe: Psi Order Æsculapians & Europe Sourcebook, Stellar Frontier: Psi Order Upeo wa Macho & Extrasolar Space Sourcebook, Aurora Australis: Psi Order Legions & Austronesia Sourcebook, Darkness Revealed 1: Descent into Darkness, and Darkness Revealed 2: Passage Through Shadow. Our next Kickstarter is for Dragon-Blooded: What Fire Has Wrought for Exalted Third Edition. We’re planning on launching it at the end of March. Keep an eye out! There’s no new Pugmire content this week on Canis Minor. With the addition of Kindred of the East, all Vampire: The Masquerade settings are now available for use on the Storytellers Vault. Awesome! 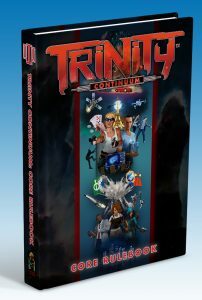 🙂 very excited for the 2 new releases and can’t wait for the Trinity materials to start moving through 🙂 Any word on what the kickstarter after Dragon-Blooded might be? Given how much the Kickstarters rely on how far along the project is in the production pipeline, we tend to only have the next one planned. It’s not that we’re keeping anything secret, it’s that we can’t commit unless the project is ready. Based on my tracking of things in development, the top candidates are Fetch Quest (the Pugmire card game) and the second editions of nHunter and Geist. Full-size Preview does not work for the Beast Player’s Guide.